We put early childhood education front and center in order to foster the best in child development. Why Choose Our Early Learning Center? 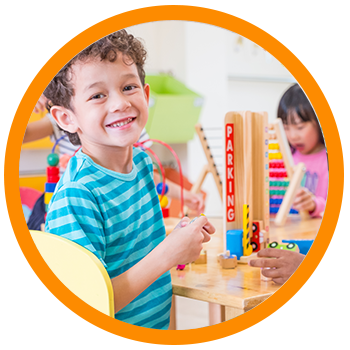 A preschool education is an important thing, and that’s why at First Class Child Development Center, our goal is to create an environment in which your 3-5 year old thrives. With creative play as a focus, children can learn and grow. We focus on a number of different subjects to help foster development, and we encourage experimentation. At the end of the day, we know that the environment your kids are in is important, and we’re here to provide the best possible surroundings for your children. Learn more below. Our preschool program for 3-5 year olds encourages children to learn through creative play. Researchers believe that children learn best without stress and through hands-on activities. Young children are constantly in motion and optimum learning occurs when they are allowed to move and choose their own play. Children develop understanding of concepts about themselves, others and the world around them through seeking solutions to concrete problems. In our Preschool environment, learning about math, science, social studies, health and other content areas are all integrated through meaningful activities. Some examples of this include: building with blocks, measuring rice, water, beans or ingredients for cooking, observing changes in the environment, sorting objects, exploring animals and plants, listening to songs from various cultures, drawing, painting, and working with play dough. Interest in written language is promoted by listening to and reading stories, labeling classroom objects, charts and other printed materials. 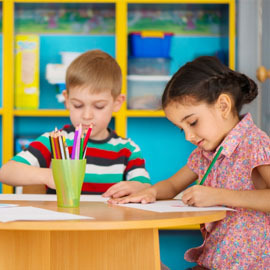 Children are encouraged to experiment with writing by drawing, tracing, copying letters, and inventing their own spelling. 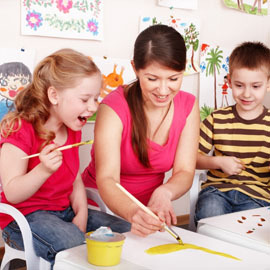 Expressive language is encouraged through a variety of art materials, music and movement activities and dramatic play. 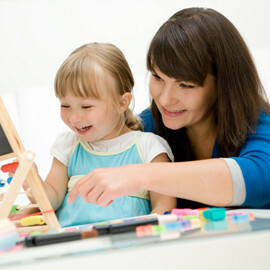 Many opportunities are provided to develop the child’s abilities to read and write. Supplies to bring: extra clothes, toothbrush and toothpaste, comb and brush, blanket, and nap time lovey that will help your child feel comfortable. Please label all personal items with your child’s name. Contact us today to find out how you can enroll your child in Preschool at First Class Child Development.